Felipe G. Gil will present ZEMOS98's signature 'audiovisual source code' format at Pixelache, with the subject 'Remix and Copylove', making a presentation that is a mix of spoken live presentation with audio-visual clips from popular sources, such as movies, tv, aswell as favourite video remixes. 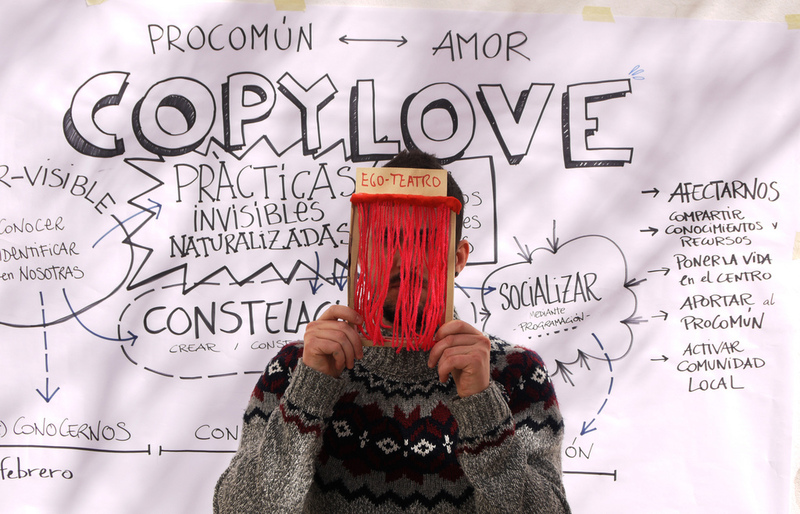 He will share his story and impressions from CopyLove themed festivals in Sevilla, and related inspirations that brought him and his organisation to Helsinki. He will make an 1 and half to 2-hour presentation, including a rich selection of video clips to support his speech. We will discuss afterwards our experience of crowdfunding for the cause of CopyLove also. CopyLove and Empathy are themes that speak to the current environment of tension, division and isolation that communities feel are encroaching their everyday lives. CopyLove is about feminist care economics and the invisible layers which supports our well-being in communities, while empathy considers perspectives other than one's own. One of the main motivations for inviting Felipe & ZEMOS98's presence in our festival was based on an expression of 'brother-sisterhood' feeling between our respective associations in Sevilla and Helsinki. We attempted a crowdfunding campaign on Goteo.org to raise solidarity funds to cover the costs. We gained enough from familiar supporters and Pixelache curatorial team to invite him, even if our grander plans were not successful. By bringing Zemos98 to Pixelache we wanted to extend that feeling of empathy and solidarity, reaching out to: 1. Citizens worried about increasing intolerance in Finnish society and want to support concrete actions that create new narratives // 2: Alternative Economy Cultures -oriented initiatives, including crowdfunding & feminist/care economics that want to cross-pollinate their thinking across Europe // 3. The Open/AvoinGLAM and AV practitioners, activists and researchers who want to learn more about the Audiovisual Source-code method and event-format, and Remix for the Commons approach // 4. To the Spanish-speaking community in the Finnish metropolitan (Helsinki)-region who appreciate innovating cultural organising.